Sydney Theatre Company's Wharf Theatres to close for renovations | Daily Review: Film, stage and music reviews, interviews and more. Sydney Theatre Company’s home in Walsh Bay, the historic Wharf, will be closed throughout 2018 for a $65 million renovation project. NSW Arts Minister Don Harwin yesterday announced $30 million of funding for STC’s Wharf Renewal Project. 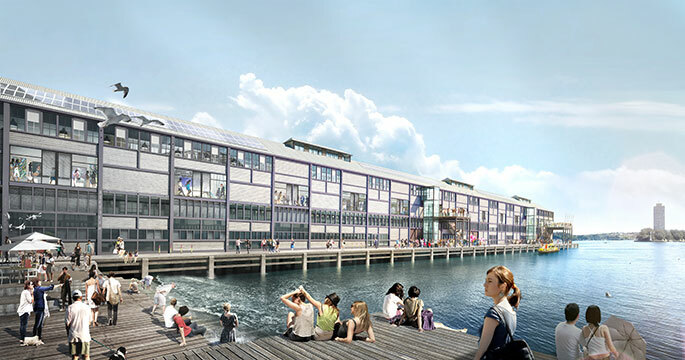 STC will raise the other $35 million for the project, which is part of a major Walsh Bay Arts Precinct revamp. The company has already secured $28.1 million in philanthropic funding from sources including the Crown Resorts Foundation, the Packer Family Foundation, Frances Allen and Ian Narev, the Neilson Foundation, and the Anita Luca Belgiorno Nettis Foundation. STC’s renovations will embrace the original vision of the company’s first artistic director, Richard Wherrett, who wanted the two theatres in the venue — Wharf 1 and Wharf 2 — to be built with flexible seating arrangements, allowing for performances in-the-round and in a variety of configurations. Those plans were simplified when the Wharf theatres were built in the mid-1980s due to financial constraints. Under the new design, the two theatre spaces will be transformed and separated by a retractable door, allowing them to be used as a single larger performance space for certain events. Visitors will also be able to access the Wharf through two new entrances, including one halfway down the pier and one at the bar. To accommodate the renovations, the entire Wharf will be closed throughout 2018, including both theatres, the workshop, the Bar at the End of the Wharf, and STC’s admin offices. The company will still have use of its two other regular venues — the Roslyn Packer Theatre and the Drama Theatre at Sydney Opera House — but will be unable to use its two smaller spaces for its 2018 season. STC says it is “looking into other venue possibilities”, and further information will be available when the season is launched in September. But the company says it expects to present a similar number of productions in 2018 as it usually does over the course of a year. The closures to the Wharf come shortly after the Sydney Opera House’s Joan Sutherland Theatre closes for seven months of renovations, and just before the Sydney Opera House’s Concert Hall closes for 18 months for renovations, from mid-2019. Other appropriate venues for STC’s season may include the Playhouse at Sydney Opera House, Carriageworks or the Seymour Centre.